No one is more at home with fairy chic than Fleuretta Fée, and no one expresses it in a more contemporary fashion. 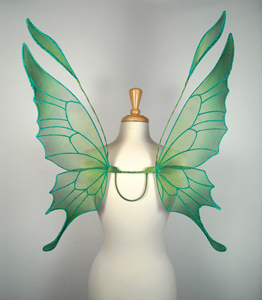 The thinking behind these extremely feminine fairy wings was lighthearted, and possibly just light. In this look, she creates a beautiful silhouette — from every angle.